Today we have something a bit different: a guest post from talented author Mark Danenhauer who talks about his self-publishing journey so far. 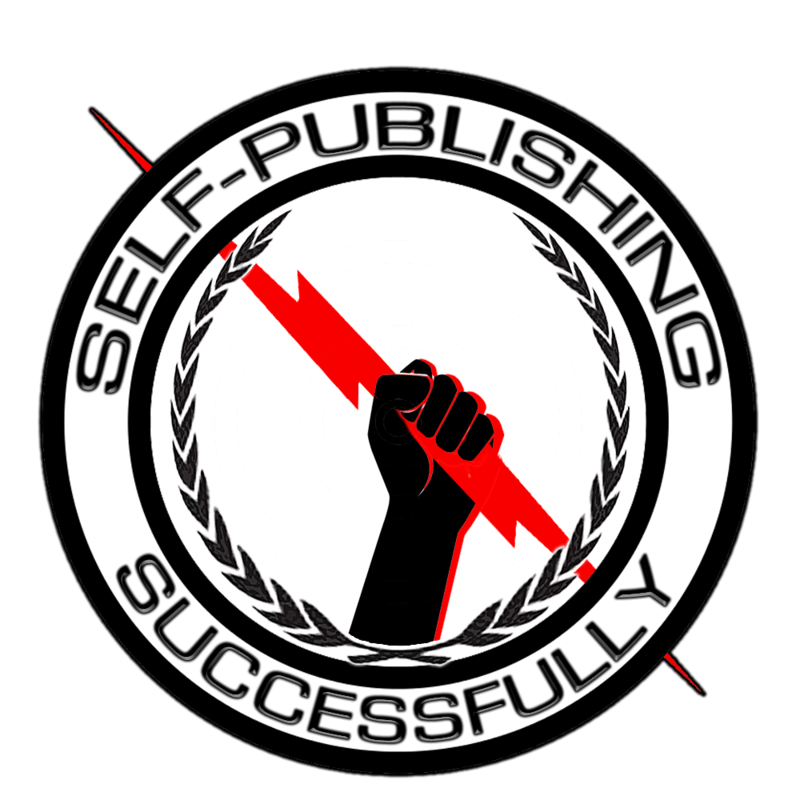 If you would like to share a post/article about your own experiences with self-publishing, please contact the administrator via the about page. Without further ado, here's Mark's article. 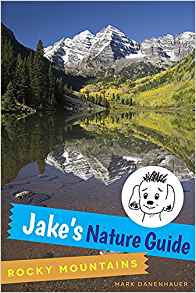 About four months ago I self published my first book, Jake’s Nature Guide: Rocky Mountains. The feeling of accomplishment that came from publishing and holding the actual book in my hand was fantastic. After the launch the excitement passed and was replaced by another feeling – being lost. I just wasn’t entirely sure what to do next in terms of marketing my book. To make sense of why I felt so lost, I want to first step back and explain what I did up to the launch of my book. Between the time I finished writing my book and the launch I researched marketing strategies for self-publishing books. One of the key books that I used was Michael Hyatt’s Platform. I also subscribed to various blogs, including Jane Friedman’s, Writer’s Digest, and My Word Publishing. All of those different sources began pointing me in different directions and for a long time I felt completely overwhelmed because there were so many things that all authors that wish to be successful absolutely had to do. According to all of the info I was learning I needed to write a blog, create an author website, get active on social media such as Facebook and Pinterest. Additionally, I needed to get busy on Twitter and Instagram. There were also lots of different strategies for helping to build my platform and my expertise such as writing guest posts on other blogs, writing articles on different sites such as eZine and Medium or answering questions on sites such as Quora. I came up with my own plan by picking and choosing those items that I enjoy doing and felt would help me meet my overall goal of selling my book. I ended up creating a blog under the same name of my book, Jake’s Nature Blog. The blog has become my primary focus area and I have been working on writing posts and growing the traffic on it for some time now. 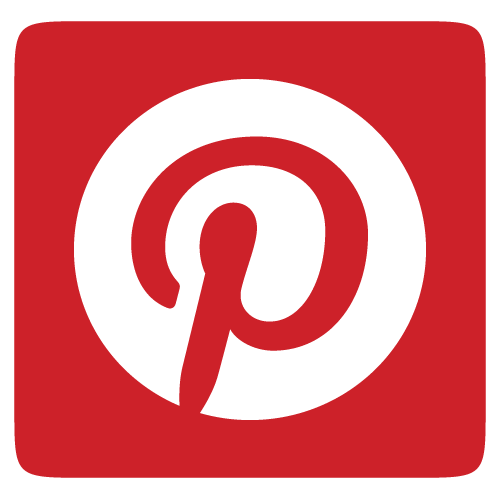 I also am somewhat active on Facebook, and Pinterest, but not Twitter or Instagram. My thinking at the time was to focus my efforts on the blog and that would somehow lead to sales of my book. Since I was so new to this all I didn’t have a clear idea of how that would happen. I just imagined that as the traffic to my blog grew I would be able to easily convert that to book sales. I worked on the blog a little bit every day, slowly learning the nuts of bolts of blogging, improving my SEO rankings and generating a bit more traffic. The blog was an incredible learning curve, both learning how to write content and the behind the scenes aspects such as self-hosting, and all of the different plug ins that are available. When I look back on those early posts I realize how little I knew at the time. Even though those early posts weren’t perfect, they still were a necessary part of my learning process. Then came the much-anticipated launch of my book. In addition to promoting the launch via social media and my blog, I held a book signing in three different independent bookstores around the Rockies (Tattered Cover, The Kings English, and The Country Bookshelf). Those events were successful and I sold a bunch of books. After I returned home and the post-launch hype from the book release began to fade, I realized that I just didn’t have a good plan to move forward. My initial plan that the blog would encourage massive sales of my book just wasn’t happening. 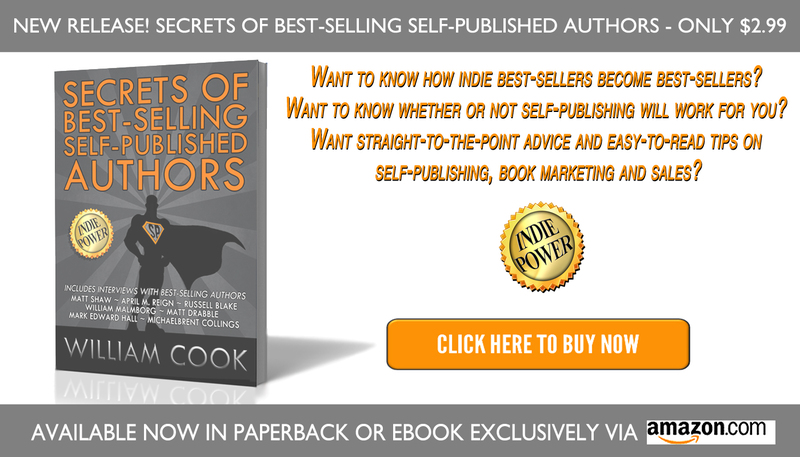 I didn’t have a bestseller and I needed to figure out how to keep marketing my book and my writing. 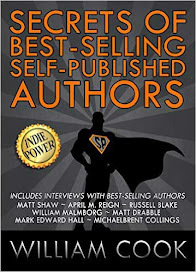 During that period I joined several different self-publishing writers groups on Goodreads, and Facebook, listened to podcasts, and read more blogs and books about self-publishing (such as William Cook’s Secrets of Best Selling Self Published Authors). That next two to three month period became a valuable time for me as I learned a lot and came to the realization that I am not just trying to sell my book. I reframed my mindset to think of myself as not just an author and began to think of my writing as a business with me as the business owner. I am still coming around to this new way of viewing my work and figuring out the best strategy to move forward. 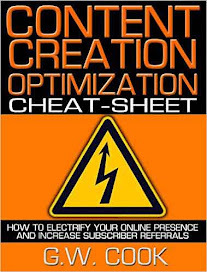 This involves creating a new marketing plan, and a business plan that will focus on selling my paper back book, creating and selling eBooks, writing another non fiction book, and monetizing my blog and generating more traffic to it. Some days I feel completely overwhelmed and lost because there is just so much information out in the world related to self-publishing and marketing a book. I have unfortunately spent too many days just drifting aimlessly reading stuff on self-publishing and hearing other people’s success stories. Every time I came across a new approach it would cause me to feel like I need to incorporate it into my own plan, but that is just not feasible. I don’t have all the time in the world to work on my business. In fact, I mainly work from the time my kids leave the house to school until they return home. That gives me about 6 hours to work on my writing business and any other meetings, errands that come up during a day, not to mention trying to get some exercise. It has taken me several months to finally feel comfortable with the direction I am heading and I have a plan to move forward. It seems like the business around creating and selling an eBook is easier and less expensive than producing an expensive paper book that needs to be stored somewhere. I finally have my marketing plan and overall business strategy to help me move forward and begin making money as a self published author. My new focus is still on the blog, but I am going to use it to sell my book and eBooks. When ever I have a day that I feel unmotivated or unsure what to do next I like to listen to the Side Hustle Nation podcasts, which have lots of stories of what other people have done to make a success of their writing or other endeavors. Those stories always help to inspire me to work harder and realize that I can become a successful self-published author. 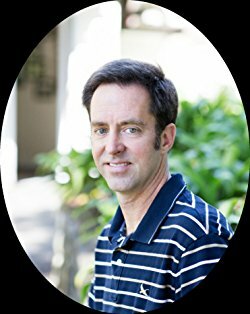 About the author – Mark Danenhauer is a blogger, father, and nature lover that recently published his first book, Jake’s Nature Guide: Rocky Mountains. He loves getting outside to explore with his family and tries to do his writing when the kids are in school or before the house wakes up. You can catch up with Mark and learn all kinds of fun nature facts on his blog – Jake’s Nature Blog or on Facebook. Tell people all about your book on social media. It’s free publicity. You don’t need to invest. 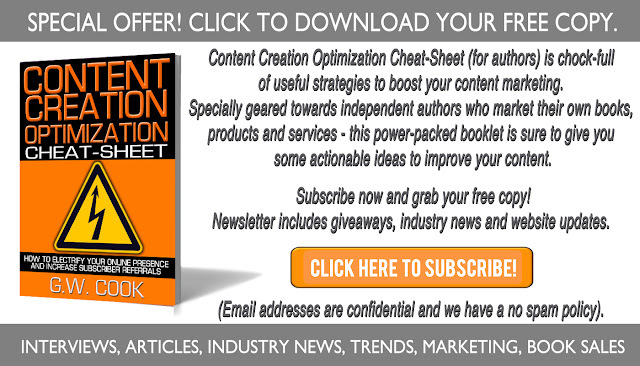 Self-publishing is free! Write to market. Go where the readers are. Oh dear. I had no idea what I was doing. I mean, I was the writer who made his book free when being free on Amazon was REALLY powerful. I was the writer who had 50,000 downloads over the course of a weekend but didn’t have another book to sell. Even worse, I was the writer who didn’t even have a mailing list where I could communicate with those readers when I had something else to sell. None of those ideas is any good. In fact, at least two of them are downright unhelpful. I could have tried and tried and tried, following those three pieces of advice and getting nowhere. But I didn’t. I forced myself to sit down and learn from those who had gone before me (in those days it was people like Amanda Hocking and Hugh Howey). I absorbed all the knowledge I could from the indie podcasts that I could find, and then I reached out beyond the self publishing genre into the broader world of internet marketing (because, let’s be honest, a book is a piece of digital content and the rules for selling on the internet apply to books as much as they do to other online assets). I surrounded myself with brilliant people and learned as much as I could from them. I’ve been around the block a few times since then and I thought I’d share a little bit of what I’ve learned along the way. Instead of those three awful suggestions, I’ll offer three alternatives that have been battle tested as I’ve grown my publishing business from zero to seven figures a year. 1. Be a person on social media. Those pictures are great conversation starters, too. And they establish me as a person. As writers, we can sometimes forget that readers see us as aloof and reserved. Despite being English, I am neither of those things! I want to turn my readers into friends. Demonstrating that I am a person with a sense of humour and the ability to laugh at myself is a great way to start doing that. 2. You need to be professional, and that doesn’t come for free. You can publish a book onto the world’s biggest book store without spending a dime. That’s very true. But you really don’t want to. Take covers. It’s better to get a pro on board. It’s a boring cliché, but there is a lot of truth in the suggestion that readers judge a book by its cover. And would you really want your book to look like this? You might think that you have an eye for a book cover, but, unless you work in graphic design – and, ideally, graphic design within the book design business – you probably don’t. A case in point: I paid a very talented artist friend to paint a cover for The Black Mile. We both loved it, but that’s irrelevant. It’s not what I think, or what he thinks. It’s what my potential readers think. And as soon as I changed the cover to one put together by a pro who had analysed my competition, that book started selling. You can get a great cover for $200, and less if you buy a pre-made (a design that will receive minimal alteration when you buy it). Check out a site like 99 Designs. If that means you need to save for a while until you can afford it, you really should. Going for a cheap option is a false economy that will cost you in the long run. 3. Write what you love. My first two books were traditionally published. They didn’t sell (the reason for that is for another day). My editor at Macmillan had just published Matthew Reilly’s first novel and it was selling in huge amounts. I read it and concluded that it was nothing special and that I could do it to. So, for the next six months, I tried to write something aimed at Reilly’s market. And it sucked. It was the only time I’ve ever had to force myself to open my laptop in the morning. It was like pulling teeth, and that lack of enthusiasm is very apparent when you read the book. It was dreadful and, thankfully, no publisher would touch it. Turns out that was a blessing. If I had continued to traditionally publish, assuming that I could persuade them to overlook the anaemic sales of my first two books, I would never have put out the John Milton books myself. 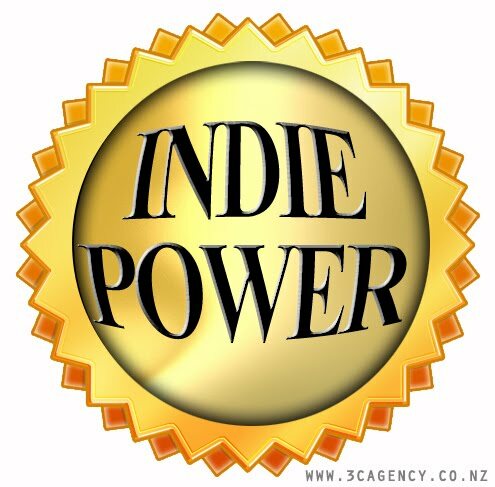 And going indie changed my life for the better. At a certain stage of life – or your business – you’re not interested in simply doing what you’ve been doing. Perhaps it isn’t working. You’re not getting the results you want. And that’s frustrating. You want to take things to an entirely different level. The problem is this: it’s not something that you can do on your own. It’s not going to be you sitting in a coffee shop, figuring out how to make your books sell in the intervals between writing new stuff. You need help. I need it, you need it, we all need it. Whether you get a more established writer to act as a mentor, you join an online course, or you set up a writers group to bounce ideas off each other, the people around you will drive you to new levels that you might previously have thought were unattainable. So that’s it – three lessons from the last five years. Here’s hoping they provide some useful insight and tips – and save you time – as you move forward along your indie author journey. You neither have to be or hire a professional recording engineer or narrator nor do you have to submit your work to a publisher in hope they will accept to distribute your audiobook. This simple guide will take you step by step through the production and distribution process without complicated technical terms. 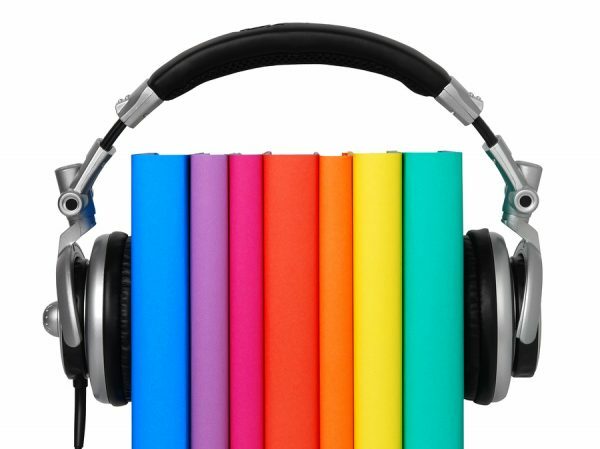 If you can use a smartphone, computer or pad, you can record and produce your own audiobook at minimal cost. It does require some work but since you have written a book, I am guessing you already master the art of getting things done. Getting ready to perform is the most important task you will be doing. Even if you were not so great at oral presentations in school, there is a way to deliver a good audiobook. The factor that is working in your favor is that you can stutter, cough, mumble, swear or run out of breath, you always have the possibility of starting over as often as you wish. The best way to prepare yourself for this performance is to read your book out loud at least 10 times. Sounds daunting? Hey I said it wasn’t complicated but it does take time. The more you know your stuff, the better the experience will be for both you the narrator and the listener. 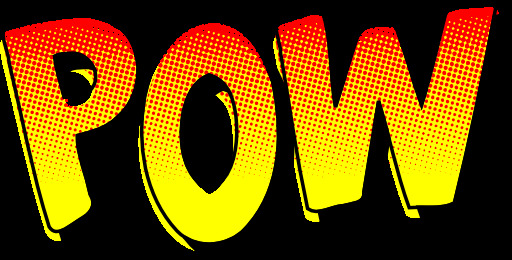 When you know your text, it will sound more natural as if you were telling a story. It will be easier for the listener to give into it without realizing that you are actually reading a book. Once you think you are ready, record yourself on your smartphone and listen back. This will give you a good idea as to what pace and you should read at and how much energy you should put in your voice. Before we get into the technical stuff, let’s locate an ideal spot to make the recording. Look around your house, apartment or office for a quiet place that is as dead as possible. What I mean by dead is: A room with enough soft material inside it to cut out the echo. I found that my walk-in closet was the deadest and also the quietest room in the house thanks to all the clothing lying around that absorbs the sound. It also provides me with double insulation from the rest of the house by closing both the closet and the bedroom doors. I just needed to put a pillow in the window and hang a bathrobe in front of the door to make it completely dead. If you aren’t sure about the deadness of your room, just clap your hands. If you don’t hear an echo, it’s dead enough. If you can’t find such a place, try hanging curtains all around you or simply throw some clothes and cushions everywhere to absorb the sound. So now we can start thinking about the material you will need. Oh my god, there go the big bucks! Calm down, there is an inexpensive way to produce a quite decent quality of recording without forking over thousands of dollars. Let’s take this one step at a time. Although it may not be a good idea to use the microphone you bought at the dollar store, there are many affordable solutions. I suggest using a condenser microphone to get a richer sound. I have a Studioprojects C1. You can find this particular microphone on ebay for about 125$. If that is over your budget then you can look at other brands that are less expensive or you can rent one from a local music shop but I suggest you buy it used instead. This way, you won’t have the stress of finishing your work at a certain date before they charge you another month’s rental. If you think you will never use it again after this project is completed, you can always re-sell it for just about the price you paid for it. This might seem to be the most complicated part and yet it is the simplest. Chances are you already have that in your pocket or are holding it in your hand right now. Any smart phone, tablet or computer will do the job. I recorded my audiobook on my old iPhone 4. I simply bought the I-rig recording app for under 3$ and voilà! You may also want to record directly to your computer using the same formula and the Audacity free software (I will elaborate on this later on). This is the important part; Linking the microphone to the recording device. Condenser microphones need power to operate. Some may have the option to insert a 9 volt battery but most likely, you will need to feed it with 48 volt phantom power. Sounds complicated, not at all. There is a little device you can buy that goes for around 70$ new and if you are lucky, you will find one for less than half that price used. It is called iRig pre, manufactured by Ik multimedia. It is basically a microphone pre-amplifier. You simply insert a 9 volt battery, hook your microphone to it, plug it into the headphone jack of your iPhone, flick on the switch and away you go. Why not talk directly into the microphone on the iPhone? Well, that works too if you don’t mind your audiobook sounding like you read it over the phone. This pre-amplifier is dirt cheap and will do the job. However, if you have a bigger budget, this is where you would want to invest. The better the pre-amplifier, the more you will sound like a professional radio announcer. Having owned a recording studio, I went for a high quality tube pre-amp. I used the Avalon 737 SP worth about 3,000$. But you don’t have to get as crazy as I did, I will show you how to fake it afterwards. You might want to use a real microphone stand for this but you can always hang the microphone by the wire on a clothes hanger or from the top shelf of your closet. Nobody will ever know except your spouse of course. That is the part I cannot help you with. You will have to negotiate the space you take up. My wife gave me her ok as long as I kept all the gear on my side of the closet for the month it took me to record my book. That of course is your book. You may want to transfer it onto a pad and sit it on some kind of stand or holder so you don’t have to turn pages and make unnecessary noise. I made a special PDF of my book with larger than normal characters and read it on my android pad. This way I could place it at a certain distance and still be able to read it without effort. 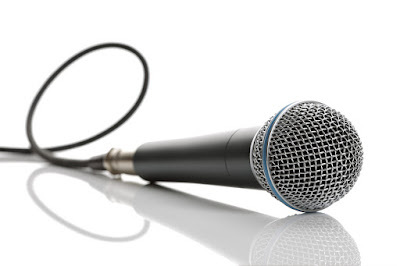 The closer your mouth is to the microphone, the better the sound quality will be. However, talking directly into it straight on can increase the possibility of provoking unwanted pop sounds and mouth noises. I placed the microphone close but slightly to the right of my face avoiding breathing directly into it. This also freed my vision so I could get a clear view at my pad. You may hook up a set of ear buds to the I-rig Headphone outlet. This will allow you to monitor your voice being recorded as you read your book. Should you hear any unwanted sound or background noise, you can re-read your sentence right away and edit it later. Try making a few takes with different voice tones and volume. Then listen back and see what combination works best. Once you are comfortable with your positioning, take the time to note how and where you are standing (or sitting). Be sure to recreate the exact same environment and placement for every recording session. This is the fun part but also the most demanding. You will need to keep a steady pace and voice tone throughout the entire book. I suggest that you make two takes of everything. I recorded one chapter at a time and re-recorded the same chapter (take 2) right away. Having two takes will give you an extra option should you catch a bad pronunciation or noise during editing that you might have missed while recording. At the end of each chapter or part, stop the recording and give the file a proper name (e.g. ch1-take1). These files will later be transferred onto your computer for editing and final formatting. Keep on recording as long as you have the energy and drive to do so. You do not have to transfer your files right away nor do you have to record your whole book before doing so. Once you have finished your day’s recording session, it would be wise to transfer whatever files you have at least to provide a backup. Skip this part if you are recording directly to your computer. If you are using the iRig app, there is an upload button at the top of the screen. This will give you the option to transfer your files via E-mail, iTunes, Wi-fi (my favorite), Cloud, etc... From this point on, we are diving into the technical stuff. Should you get stuck, you can always go to YouTube and type away your problem to get several solutions instantly. Or you may want to go shopping on Fiverr to find someone who can do it for you at a very affordable price. Once your files are transferred onto your computer, you will need to edit them with audio software. Audacity is free and easy to use. You will also find many videos on YouTube that will show you how to work it. This is where the magic happens. You will see your voice in the form of a wave track. Think of it as a piece of magnetic tape (y’know wayback yonder when we’s used to listen to music on mechanical machines?). The wave form can be manipulated, cut, shrunk, copied, deleted, moved as you would cut up and glue back pieces of magnetic tape. This is where you will cut out the bad parts, the omnipresent breathing, hesitations, mistakes and so on. You will want to have both takes 1 and 2 of each chapter in front of you on separate tracks. This way, you can grab pieces from the 2nd take and bring them into the 1st take if need be. Do not get discouraged if you don’t understand a word of what I am saying. Once you have played around with the software a little and have watched a couple of tutorials, you will get the picture. It is not any harder than learning to navigate on Facebook. Normalize: Brings your voice to the highest level of sound without distortion. Limiter: This is even better because it boosts your overall level while limiting the max volume. Gate: This one is even cooler and does somewhat the opposite. It sets a bottom threshold. What I mean is that all sound under a certain level is eliminated i.e. : breathing and undesirable noises like you scratching yourself or your dog barking in the far background. Compressor: This is the most impressive one because it just plainly makes you voice sound big. It boosts the volume and gives your voice that warm close-up sound. Eq: Stands for Equalizer. Funny because it does not equalize anything. It gives you the freedom to cut away or boost a given frequency as you wish. This is where you can bring down that annoying “s” sound or boost the bass to give it that oomph feeling. Play around with it and see what you like best. Just keep in mind that your goal here is to make the listener comfortable. So whatever you do, please take the time to compare your work with other audiobooks to make sure you are within the norms. I remember one time where I had been playing around with a song for hours and hours. I compared it to a Madonna and U2 recording and found that my song sounded much better than theirs. Yeah right! Until I dumped it on a CD and played it on my friend’s sound system. That’s when I discovered that I needed to get some sleep and stop thinking that I could actually compare myself to the musical world’s geniuses. Oh and yes, do take the time to watch some of the countless YouTube tutorial videos. You will find a multitude of tips and tricks that will save you a lot of time. Once your files are all polished up and ready to go, it’s time to publish. Yay! Strangely enough, this is the easy part. Yep, all you have to do is go to www.authorsrepublic.com and follow the instructions to upload your files. That’s it. They will take care of the rest and you will find your audiobook available all over the place in no time. Oh and you will also see your royalties arrive through your Paypal account without effort. That is, if your book is selling of course. Have questions? Do not hesitate to contact me anytime. I will be glad to assist you in any way I can. Today's guest post is from fellow self-publisher and author, Dr Gary Webb. Gary has had remarkable success with gathering great reviews for his books and boosting sales as a result. The following post reveals some of his secrets and tips for gathering reviews. Please make sure to sign up to Gary's Publishing Points newsletter here and check out his informative books on publishing and sales here. Many authors are naïve about reviews. They assume that after writing their spectacular book, reviews will be automatic. That is as foolish as believing that every book published will sell millions. Such authors don't understand how important reviews are for increasing book sales and rankings. If you hope to get more and better reviews, you cannot afford to be passive. I recently surveyed over 100 books on Amazon. Even though these books are all over five years old, they still have not received a single review between them. Have you ever noticed how often a new, bestselling book releases with 25 or more reviews on its first day? That is no accident. Not only that, but it will generally continue accumulating more reviews over time. Many of those reviews will take their cue from the ones posted within the first few days. Once an author realizes how reviews can help increase sales, they are likely to become more engaged in getting them. Too often, however, authors use methods that produce little or no results. They chase reviews by posting on dozens of Facebook review groups. Or, they send hundreds of Tweets to their followers and unknown #readers. Some will use the free book promotions, with hopes that five-star reviews will flood in. These are the easiest methods to get book reviews; but, they are also the least effective. Many authors complain about negative reviews from readers who got their book for free during this type of promotion. Instead of broadcasting pleas for reviews across the entire internet, I recommend focusing on carefully chosen reviewers, especially during a book launch. The key to better reviews is BETTER REVIEWERS. The key to more reviews is MORE REVIEWERS. To ensure success, every effort to get more and better reviews should focus on finding high quality reviewers. Find people who have favorably reviewed books like your own. Let me be very blunt about this issue. Not all reviewers are equal. Some have a tendency to give a high star rating with little comment on the value of the book. Others may write a lot without saying much. As an author, it is best to find reviewers who often give high ratings and remarks that motivate others to buy the books they review. According to the Pew Research Center, only about 23% of American adults read even one book each year. That means they did not open a paperback, turn on a Kindle, or listen to an audio book in the previous 12 months. The number of readers in our country is rapidly declining. Among those readers, even a smaller number have ever written a book review. A former executive with Amazon has estimated the number at 2-5% of buyers. Good book reviewers are scarce! Simultaneously, almost one million new books are available every year. Bottom line: you have lots of competition for getting any reviews. I want to share a simple approach that is the most reliable method for gaining more and better reviewers – and reviews. As I said, it is simple, but that does not mean it is easy. 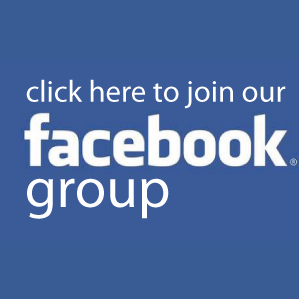 Using this method does not limit sending a blast to Facebook review groups. However, your goal should be building a list of reviewers who have a history of reviewing books like yours. Your aim is to collect a list of reviewers who can be contacted to write great reviews for your books. At first, my reviewers list came from two sources. I contacted those who were following me on my Facebook account asking them to do reviews. Secondly, I used my mailing list. Between the two methods, I found about fifty prospective reviewers. Understandably, few of these proved to be the reviewers I wanted. In fact, I only got about five to agree and two who actually wrote a review. 1. Use Amazon to find books like your own that have many high-rated reviews. 2. Develop a list of reviewers who have written good reviews. After finding books like your own, you can easily see the best reviews for those books. When you’ve found one, click on the reviewer’s name to look at his/her reviewer profile. I don’t bother with fake names like “Amazon customer” because those are seldom useful for building a list. When looking at a reviewer profile, quickly check to see if it includes any contact information. Some reviewers give an email address, a website, or a social media contact. When I've found a reviewer who does good reviews, I have even taken another step to look them up on Facebook. Adding to this manual technique, I have also used a software app called "Book Review Targeter" by Debbie Drum. It allows me to search hundreds of book listings for good reviewers with much less time invested. Although it is a little expensive, it’s a great investment for authors who intend to write several books. You can get it at http://getbookreviewsnow.com. Another approach is to hire a virtual assistant to do this tedious research for you. One of these is Alexandra Marquez from fiverr.com. You can reach her at http://bit.ly/26d48P6. I’m sure many others are available on fiverr and on upwork.com. Some authors suggest looking for and contacting Amazon’s top book reviewers. These reviewers can be found via this link http://www.amazon.com/review/top-reviewers. I, however, have not found this particular method to be worth my time. So many authors target these reviewers, that your chance of getting a review is low. Sometimes these reviewers can also be the most critical. Their insight might be helpful to improve your writing skills, but a bad review during the early days after a book’s release can hurt sales and create future trends for the reviews that follow. 4. Develop a listing or spreadsheet for these reviewers. After finding potential reviewers, I use an Excel spreadsheet to track the review process. On the spreadsheet, I set up columns for several kinds of information. I have columns for the reviewer’s name, contact (email) address, date of first contact, two follow-ups, date of review, and date of appreciation. When possible, I use email addresses for contacts. Sometimes, I also use a Facebook message link. If you’d like a copy of my spreadsheet, just contact me (gary@mgwebb.net ). 5. Contact the reviewers via email or social media to ask for a review in exchange for a free advance copy. I usually send an email like the one below. I send it about two months before the book release or my target date for getting more reviews. [Bullet points about the benefits and features of the book]. I am currently seeking 30-50 high-quality reviewers who will post an honest review of this book in exchange for an advance review copy. The advance copies should be available for distribution on [date you plan to send the review copies]. Reviewers will have their choice of a Mobi, ePub, or PDF version of [name of the book]. I have read several of your reviews and was impressed with your thoroughness and helpful approach. Would you be willing to read and post your review of [name of book] soon after its release on [release date]? If so, please email me at [your email address]. If you have questions or comments, please contact me. I have given review copies in two ways. I have directly sent them as an email attachment, or by sending a link to bookfunnel.com . 7. Update the record to show those who agree to review the book. I list the date they agreed to write a review and the version of eBook I sent them. I do not drop the others from the spreadsheet. I keep them for two reasons. First, I will contact them when I have other books available. Even if they don’t review one book, they may be interested in the next one. Secondly, when the book live on Amazon, I send them an email or Facebook message to let them know it is available. You’d be surprised how often I’ve sold books to people after the release — and later gotten a review from them! Make sure to send a copy of the book in the format they prefer (pdf, mobi, or epub). Many authors only send pdf versions. I have found that I get a better response when I offer all three versions. 9. Follow-up with a reminder near the release date or deadline. Remember that your reviewers are doing you a favor. They could just read the book with no regard for your deadlines. They have busy lives of their own. So, it may not be surprising for a few of them to forget writing a review. I've heard that the normal response for getting reviews posted is less than one in 25. I have not seen that. Usually, one out of every three that I've asked to write a review agree to do it. Of those, one out of two actually write and post one. I think gentle reminders are the key. I contact my potential reviewers by email. I let them know that I'm looking forward to reading their review. I also describe how much reviews like theirs can help other readers to find and enjoy my book. Sometimes, I’ve gotten responses that admit having forgotten to write a review. I’ve also received a few emails saying they never received a copy of the book when I first sent it out. 10. Record the date each review is posted. This will help you see how prompt these reviewers are. I can keep that in mind for future books. I also will enter a 5* (or whatever ‘star’ rating they gave the book) to show that that they rated my book with a five-star (or other) ranking. 11. Send a note of appreciation to your reviewers. These reviewers are crucial allies in your success. A few may even become part of your launch team for future books. Take the time to show them your appreciation. A quick email will do the job. Later, you should try to be a help by sending them special links to articles or free books. You should stay in contact like this between your own book releases. You could send them an offer for a lead magnet that gives them a chance to opt into your mailing list. Think about building a good connection with them. If you do, you improve your chances of getting more and better reviews from all your reviewers. There is no magic in getting great reviews. Even the best authors have gotten some very negative reviews. The best answer to negative reviews is a strong foundation of well-written, high-rating reviews. Then, keep adding more. If your book is good quality, it will soon begin accumulating some "organic reviews." When unsolicited, organic reviews come, you should know what I would suggest to do in response, right? By now, you know that I will find that reviewer's contact address and add them to my spreadsheet. I will probably even send a note of appreciation. I urge you to do the same! Dr. Gary Webb is best-selling author of Book Reviews That Sell: Discover the Secrets of Getting a Boatload of Great Reviews. It is currently available on Amazon.